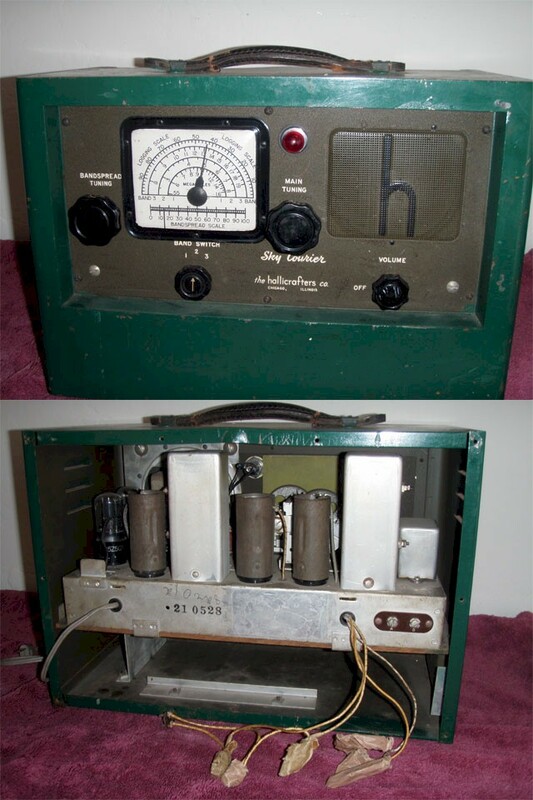 This radio is both AC/DC or Battery operated and was made for the Military during WW2. Someone has "improved" the paint on the case. It should probably be Olive Drab like the Face plate. It was packed with a full set of spare tubes wrapped in the Honolulu Sun-Times November 13, 1953 edition. I've seen only one other on the web. It is Olive drab and had no lamp on the front but it has a collapsible whip antenna. Mine has no hole for an antenna so I assume the other has been modified or a slightly different model.